KENNEDY SPACE CENTER, FL – ‘Starliner’ is the new name of America’s next spaceship destined to launch our astronauts to orbit. The new commercial craft from Boeing will restore America’s capability to launch American astronauts from American soil to the International Space Station (ISS) in 2017 – and the magnificent looking first capsule is already taking shape! Built by The Boeing Company, ‘Starliner’ was officially announced by Boeing and NASA as the new name of the company’s CST-100 commercial crew transportation spacecraft during the Grand Opening event for the craft’s manufacturing facility held at the Kennedy Space Center on Friday, Sept 4. 2015 and attended by Universe Today. 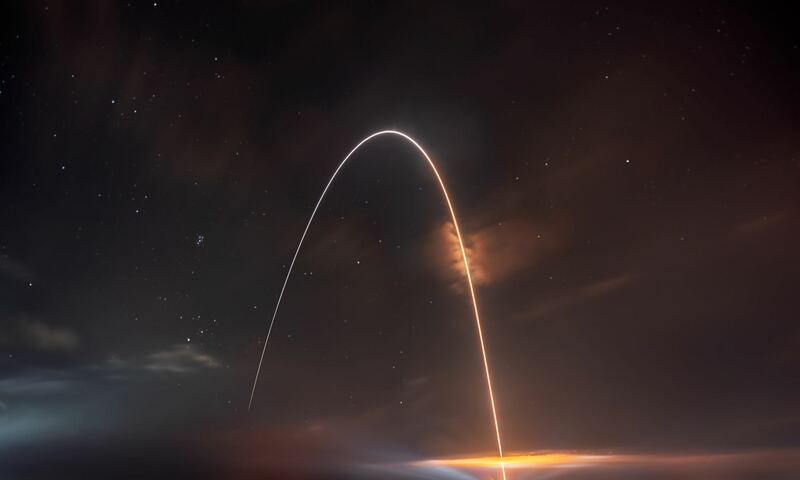 ‘Starliner’ counts as history’s first privately developed ‘Space Taxi’ to carry humans to space – along with the Crew Dragon being simultaneously developed by SpaceX. “Please welcome the CST-100 Starliner,” announced Chris Ferguson, the former shuttle commander who now is deputy manager of operations for Boeing’s Commercial Crew Program, at the Grand Opening event hosting numerous dignitaries. The CST-100 ‘Starliner’ is at the forefront of ushering in the new commercial era of space flight and will completely revolutionize how we access, explore and exploit space for the benefit of all mankind. Starliner will be mostly automated for ease of operation and is capable of transporting astronaut crews of four or more to low Earth orbit and the ISS as soon as mid 2017 if all goes well and Congress approves the required funding. “One hundred years ago we were on the dawn of the commercial aviation era and today, with the help of NASA, we’re on the dawn of a new commercial space era,” said Boeing’s John Elbon, vice president and general manager of Space Exploration. 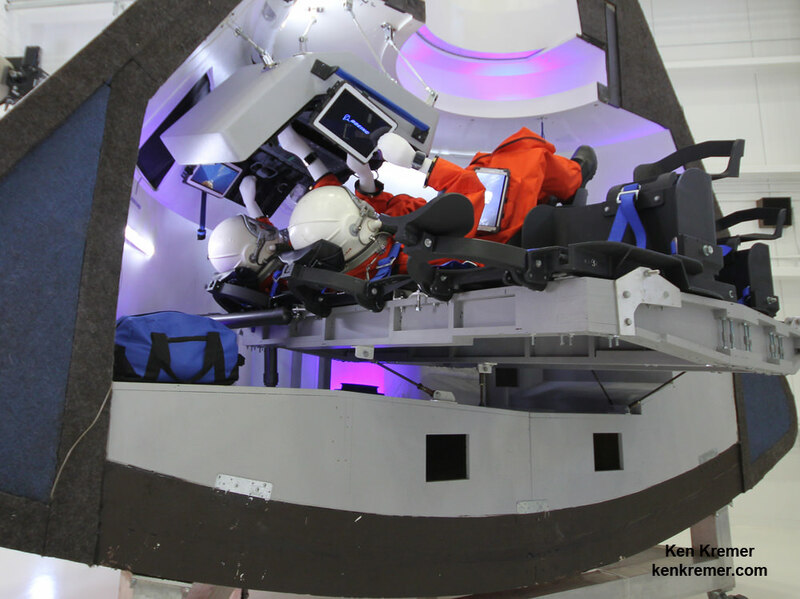 The CST-100 ‘Starliner’ will be produced in Boeing’s newly revamped manufacturing facility dubbed the Commercial Crew and Cargo Processing Facility (C3PF) on site at the Kennedy Space Center in Florida. The CC3P building was previously known as Orbiter Processing Facility-2 (OPF-3) and utilized by NASA to process the agency’s space shuttle orbiters between crewed flights during the three decade long Space Shuttle program. “When Boeing was looking for the prime location for its program headquarters, we knew Florida had a lot to offer from the infrastructure to the supplier base to the skilled work force,” said Chris Ferguson. 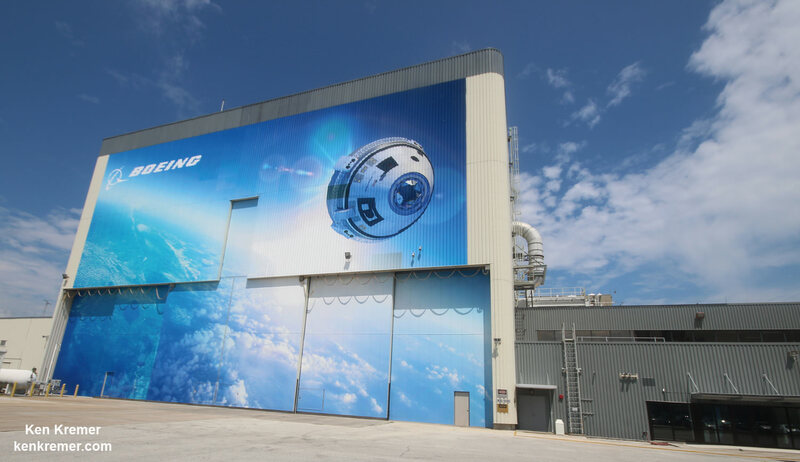 Over the past few years, the historic facility has been completely renovated, upgraded and transformed into a state of the art manufacturing site for Boeing’s commercial CST-100 Starliner. Boeing was awarded a $4.2 Billion contract in September 2014 by NASA Administrator Charles Bolden to complete development and manufacture of the CST-100 space taxi under the agency’s Commercial Crew Transportation Capability (CCtCap) program and NASA’s Launch America initiative. The commercial crew program is designed to return human spaceflight launches to the United States and end our sole source reliance on Russia and the Soyuz capsule for all manned flights to the ISS and crew rotation missions. Since the forced retirement of NASA’s shuttle orbiters in 2011, US astronauts have been totally dependent on the Russians for trips to space and back. SpaceX also received a NASA award worth $2.6 Billion to build the Crew Dragon spacecraft for launch atop the firms man-rated Falcon 9 rocket. Final assembly of both half’s of Starliner will take place in the C3PF – namely the crew command module and the service module. 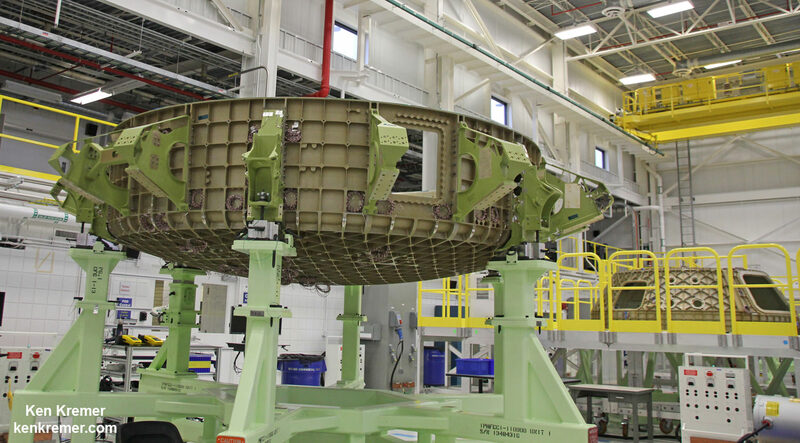 Boeing is already building the first version of Starliner known as the Structural Test Article (STA) . The STA will be used for extensive prelaunch testing and evaluation to ensure it will be ready and robust and capable of safely launches humans to orbit on a very cost effective basis. The Starliner STA is rapidly taking shape. The first components have been built and were on display at the C3PF Grand Opening eventy of Sept. 4. They are comprised of the upper and lower halves of the crew command module, the crew access tunnel and adapter. The shell of Starliner’s first service module was also on display. “The STA will be completed in early 2016,” said John Mulholland Boeing Vice President, Commercial Programs, at the event. I asked Mulholland to describe the currently planned sequence of Starliner’s initial uncrewed and crewed flights. “The first uncrewed flight is expected to occur in May 2017. Then comes the Pad Abort Test in August 2017. The first crewed flight is set for September 2017. The first contracted regular service flight (PCM-1) is set for December 2017,” Mulholland told me. “Kennedy Space Center has transitioned more than 50 facilities for commercial use. We have made improvements and upgrades to well-known Kennedy workhorses such as the Vehicle Assembly Building, mobile launcher, crawler–transporter and Launch Pad 39B in support of Orion, the SLS and Advanced Exploration Systems,” said Robert Cabana, Kennedy’s center director. Read my earlier exclusive, in depth one-on-one interviews with Chris Ferguson – America’s last shuttle commander and who now leads Boeings CST-100 program; here and here.